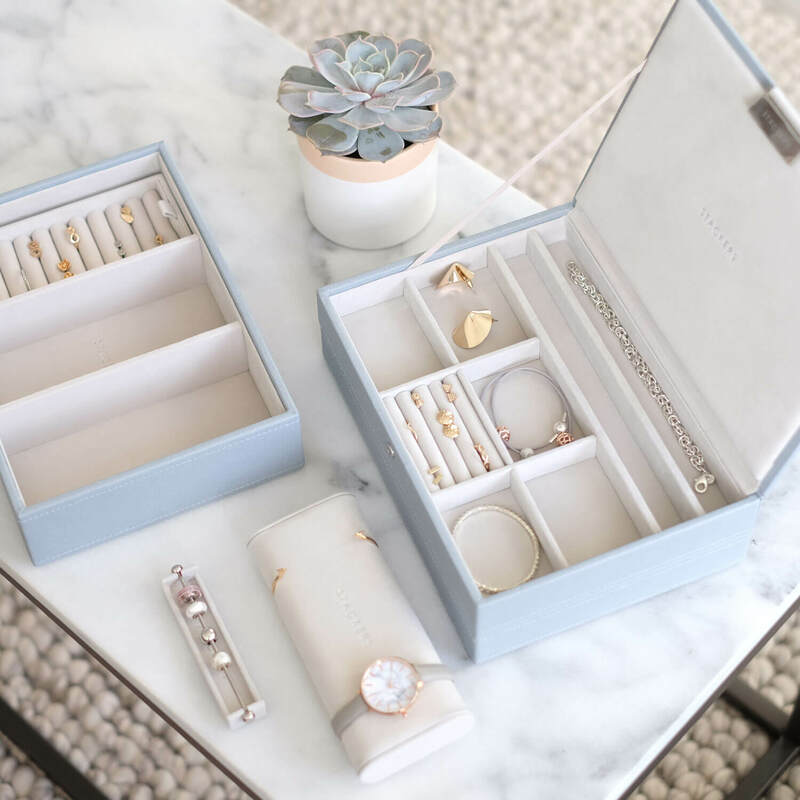 ORGANISE YOUR JEWELLERY WITH STACKERS http://www.anamaddock.com/2016/09/organise-your-jewellery-with-stackers.html There are a few things every workspace needs, some practical, others a plus. As someone who works from home, I look for things that are practical, sleek, and maybe even a little bit Instagrammable. 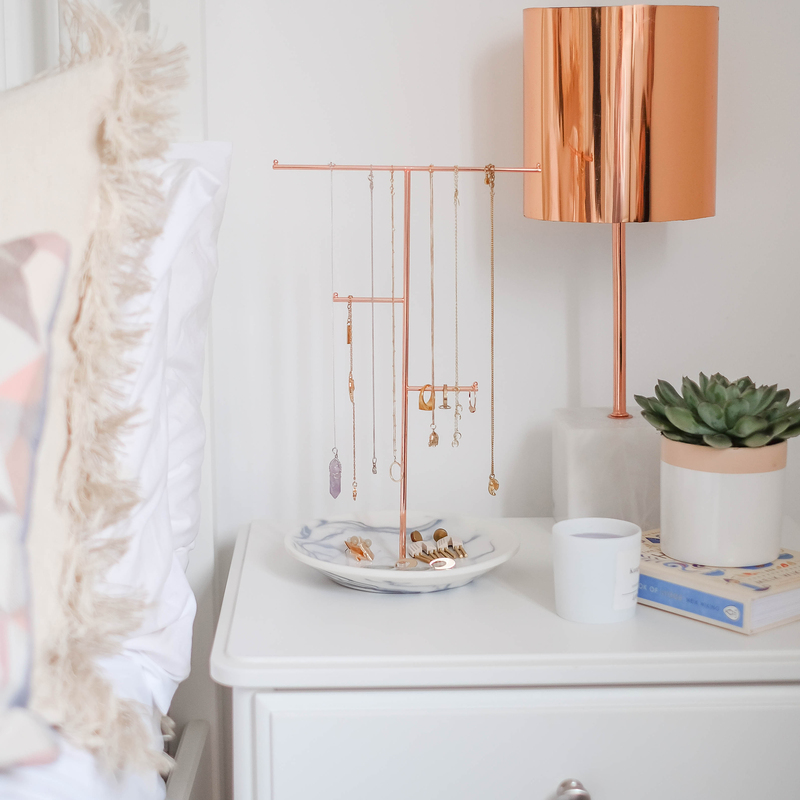 For this, I use Stackers, a jewellery box designed for your specific jewellery needs. Covered in vegan leather, this organisational tool is a must have as it keeps your precious items safe in its soft velvet lining. Featured: Stackers Mink Classic Stackers Jewellery Box with Watch Pad available from www.stackers.com Stackers allows you to create your own jewellery box without overwhelming you. The customer can choose colour, sizes, layout, and even any additional accessories you might not have considered. I have a large amount of watches that I needed to consider, so it made sense for me to have a watch and bracelet pad to maximise space. Likewise, my daintiest pieces can easily get lost in a deep case, so separating them in a 25 piece compartment, makes it so much easier to see them all on display and keeps them from tangling on each other. The thing that helps me the most in life is to keep my mind clear from clutter, this is the best tip that I can give to your wardrobe too.